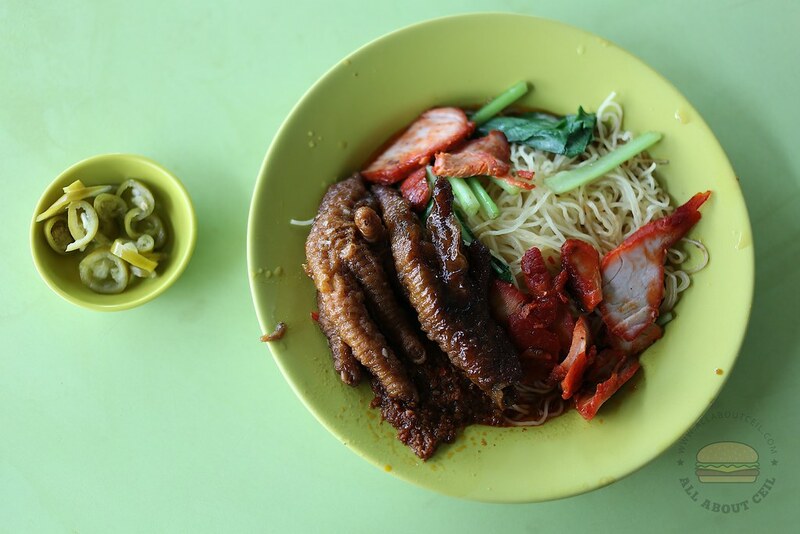 This stall has been in this food centre for quite a while, serving Wanton Char Siew Mee, Dumpling Mee, Mushroom Mee, Mushroom & Chicken Feet Mee and Ipoh Hor Fun. 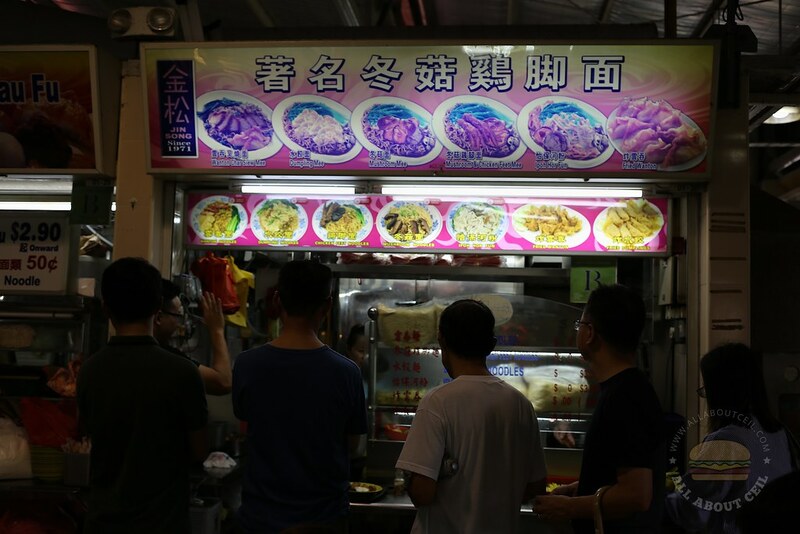 They are directly competing with Ang Mo Kio 453 Wanton Mee at the same row, just a stall away. There are usually queues at both stalls but the queue at this stall is always moving faster thus it is usually shorter. I was there on a Sunday, the queue at Ang Mo Kio 453 Wanton Mee was really long at about 1 pm. I decided to go with same options at this stall as an alternative. I have eaten once at this stall quite a long while ago and the taste was not too memorable at that time. 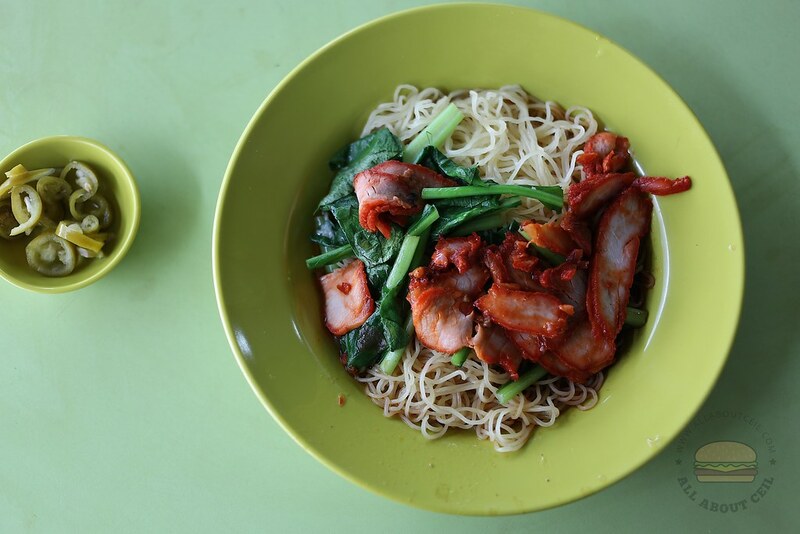 The Wanton Mee is priced at $3, the same price as their competitor next door and their Wanton Soup is $3.50, different by 0.50 cents. I added 2 pieces of chicken feet for $1.00, the same price. 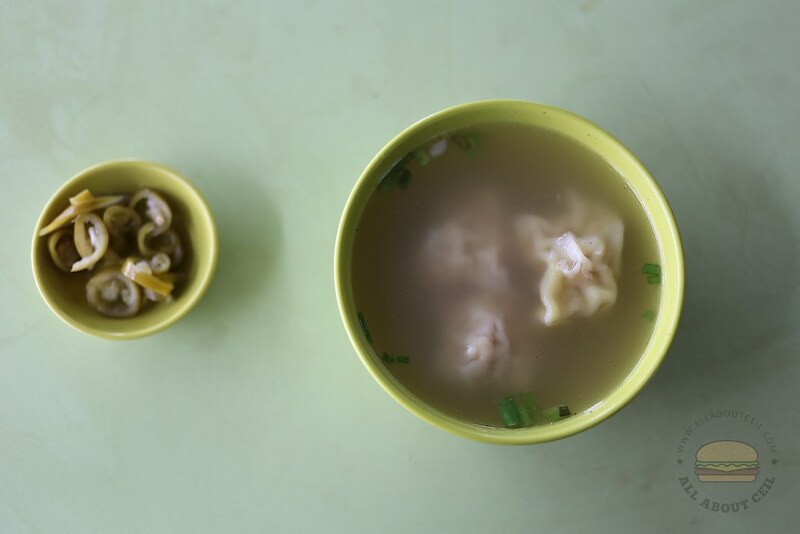 My dining companion said, "I prefer this wanton a bit more. It is much bigger in size." He then said, "I think the sauce tasted a bit like those for chilli crab but even so I still prefer the other Wanton Mee a bit more." 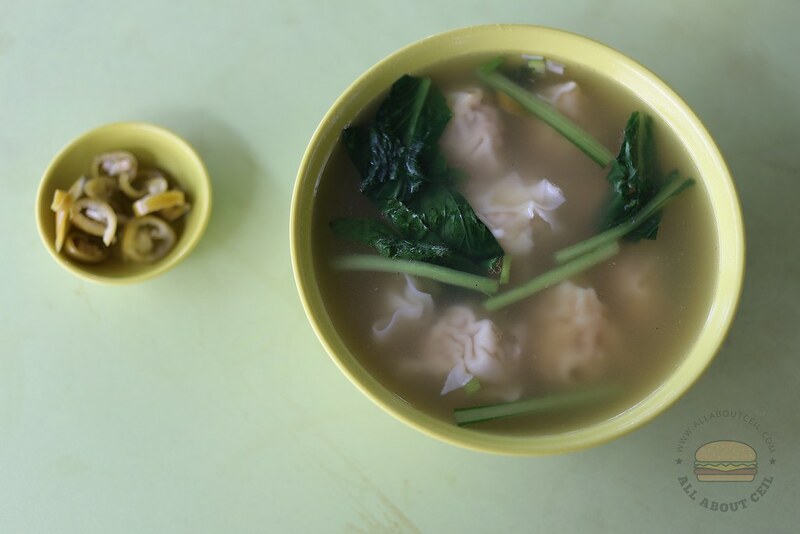 The wanton is slightly bigger and the well-seasoned filling has a softer texture with a notable dried sole fish taste. I actually prefer the other Wanton Mee too. Their chilli is spicer and more aromatic. Their noodles are springier and firmer. Their braised chicken feet is more flavorful as well.